This Christmas, get your kids all excited about the holidays by helping them make some greeting cards for the family. Here is our compilation of some Christmas card ideas for kids that you could use to make some at home. 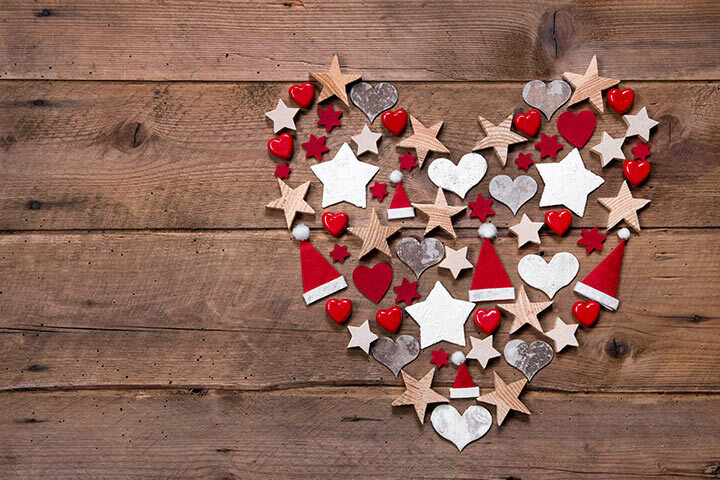 Let your kid cut out different sized shapes of hearts, stars and Santa hats from the old magazine papers or colored papers. Ask your kid to fold the card in half to give it shape. Now let your kid glue the cut out shapes to the front of the card to make a big heart that will have the hearts, Santa hats and the stars. Once done, ask them to write out a nice message inside that will spread the joy of Christmas. Help your kid cut out a reindeer silhouette from the white card paper. 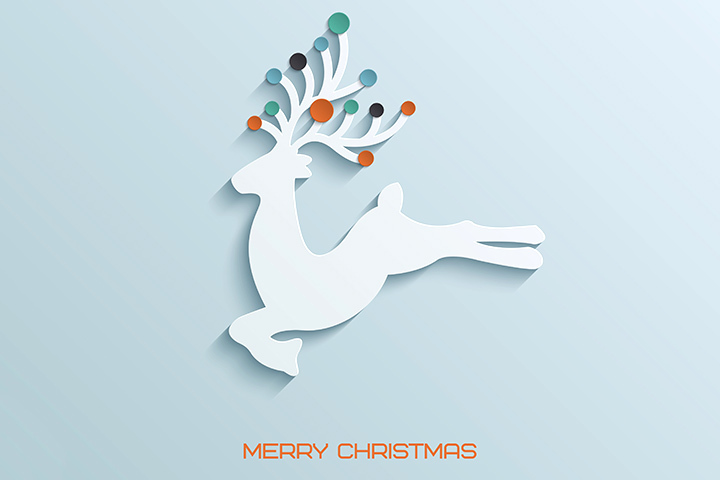 Now let them cut out small circles from the colored papers and stick on the antlers. Glue the reindeer on top of the greeting card. Ask your kid to fold the card paper and open it again, and glue the red paper on the inside. Now let your kid write out the word Merry Christmas on the front in a decorative font. Also, help your kid draw a Christmas tree on the front. 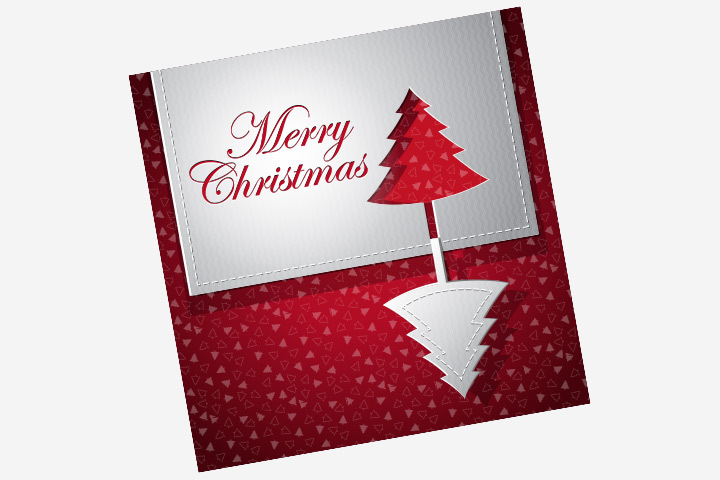 Now use the knife to carve out only the front of the card to scoop out the words Merry Christmas and the outline of the Christmas tree. While doing so, make sure the bottom base of the Christmas tree stays attached to the card. Let your kid push it downwards so that it looks as if a Christmas tree is hanging down from the card. Help your kid cut out Christmas tree shapes from the green paper and candy cane from the white. Let them decorate the candy cane with strips of red paper. Help them loop the string around the tree and tie in a bow. Ask them to use all these decorations to add to a Christmas greeting card. 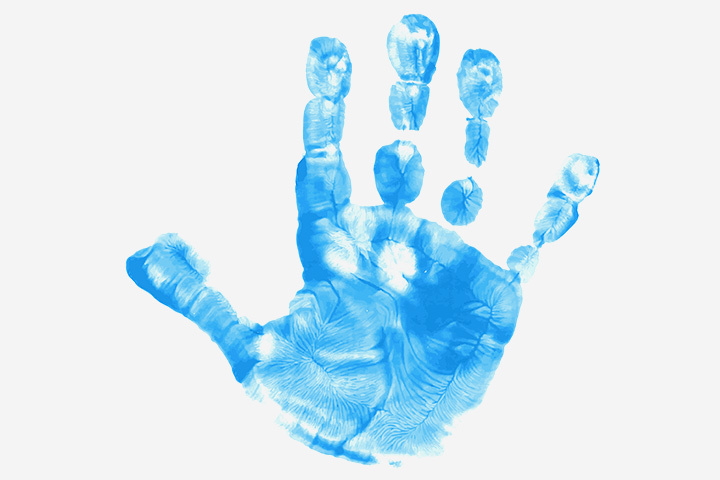 Dip your kid’s hand in white paint and take the imprint on the front of the card, with the fingers facing down. Cut out a hat shape from the red paper and stick on top. Stick the googly eyes and make nose and mouth using the marker. Use the white paint to decorate the hat. 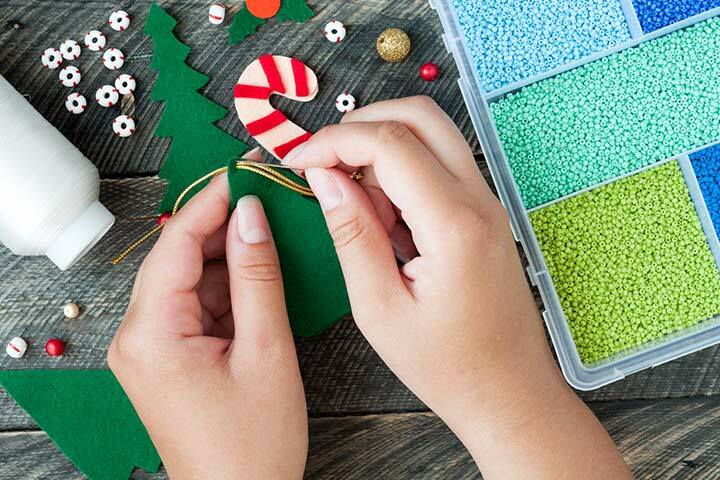 Crafting will give your teenager an opportunity to get into the Christmas spirit and reflect on the importance of the holiday. Here’s a roundup of some beautiful Christmas craft ideas for teens they will love to make. Tell your teen to cut the wire to the desired length. Create the loop closure using the pliers. Have her thread the bells onto the wire. The wire should be full of bells. 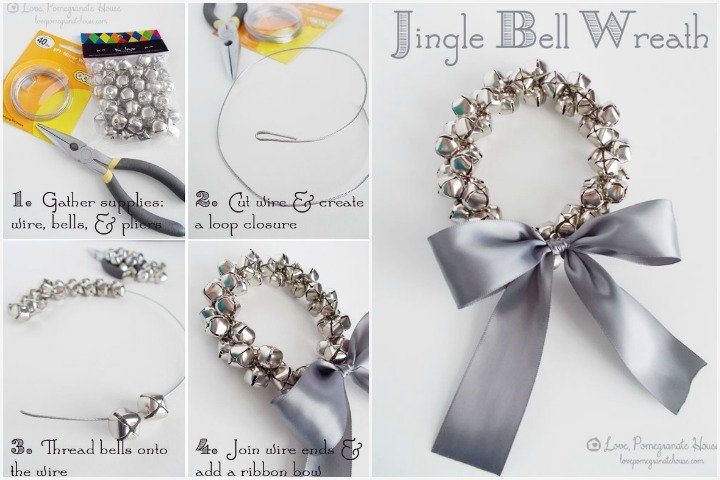 Join the wire ends by hooking them together and tie a ribbon bow on it. Water globe with a base. Paint the base of the globe red. Affix the bells in the center of the base. Press the reindeer and tree into the clay and make indentations. Bake the clay in the microwave. Drill a hole in the center of the clay and attach to the gasket with a washer and screw. Cover the seams with a silicone sealant. Now glue the figures with the sealant. 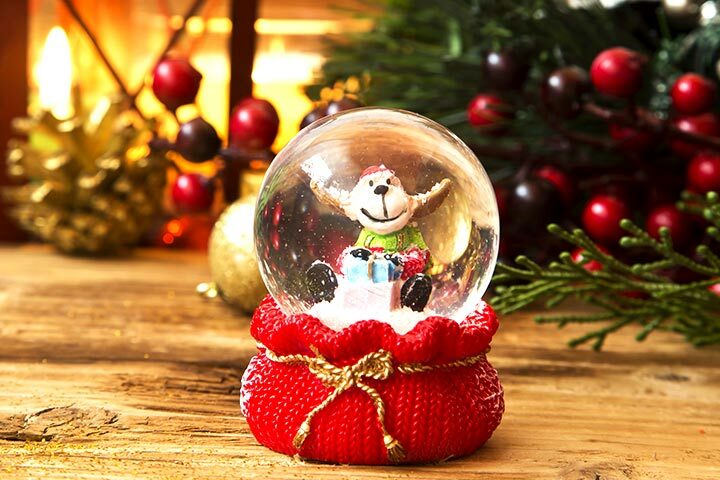 Presoak snowflakes; fill the globe with water and seal.